How do you translate a flood of information into actionable insights? Customer relationship management (CRM) is the strategy you are looking for. Implementing CRM means that you store customers’ contact information and track your communication with them to enhance relationships. A well-structured CRM system allows you to consolidate and manage streams of data to date, building stronger bonds with customers. Depending on your strategic goals, there are three common types of CRM. Operational CRM is geared toward lead generation and a more efficient experience for both businesses and customers. Analytical CRM delves into customer data to understand customers’ needs and increase customer satisfaction. Collaborative CRM gives businesses access to additional data gathered by outside companies so that they can have an integrated view of customers. If you’re still using Excel and Outlook for CRM, now it’s time to unlock the modern practice. According to Capterra, 56% of small businesses use CRM software to capture their interactions with customers. It provides a customizable, affordable solution that streamlines processes and saves working time. Some of the best CRM softwares include Salesforce, HubSpot, Zoho, SugarCRM, Odoo, Microsoft Dynamics, OroCRM, and Less Annoying CRM. Each of them offers unique features that are designed to address different needs. More reliable than pulling data manually, CRM stores detailed histories of customers on which you are able to forecast future trends. CRM helps you segment existing customers, contributing to a deeper understanding of your customers’ behaviors, preferences, and needs. As a result, you can optimize future customer interactions and potentially open up new business opportunities. CRM reorients you toward individuals and thus makes every conversation more personal and tailored. CRM shares real-time data across teams and facilitates internal collaboration. This allows them to provide customer support and resolve issues efficiently. CRM keeps track of your previous marketing campaigns as well as your team’s performance. It can also sync with social media outlets, so you can identify the most effective communication channels, and accordingly, increase your ROI. When it comes to developing business plans, analytics from CRM may help you allocate budget and workforce in the best way. By improving productivity and customer experience, successful implementation of CRM ultimately brings about sales growth and profit. 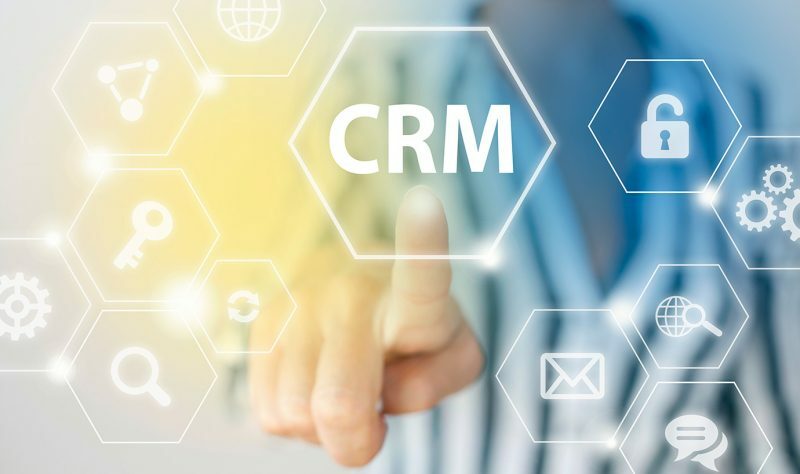 If customers are not satisfied with their experiences with your business, or if you have a growing number of customers, why not use CRM to support your engagement? Creative Spot is a full-service marketing and advertising agencyin Columbus, Ohio. If you would like to learn more about how we can help your organization with customer relationship management, please contact us.